Hi techies. In this post we will get to know about the google’s Connected Clothes concept. So Lets Get Started. Problems with reduced Screen Size of Wearable Devices. Difficulty in controlling the device. Reduced screen size makes it difficult to read content. Eventually purpose of the wearable device is destroyed. Must Read. This Wearable device the has Solved the issue of Small Screen with being Portable. Project Jacquard comes into play to solve the issues related to reduced screen size of the wearable devices. By this project google is supposed to embed sensors in the clothes. Such as Jeans. We can say that google has taken the word “Wearable” too seriously. (pun intended). By the help of project jacquard. It is assumed that we could be able to control our devices such as Smartphones etc. with the help of sensors embedded into the clothes.The Project Jacquard is implemented by means of placing the sensors within the fabric. Google have also done a demo to see the success of project jacquard. In that demo they controlled a smartphone Via a fabric which have embedded sensors. They were able to control a few functions via Project Jacquard Fabric. 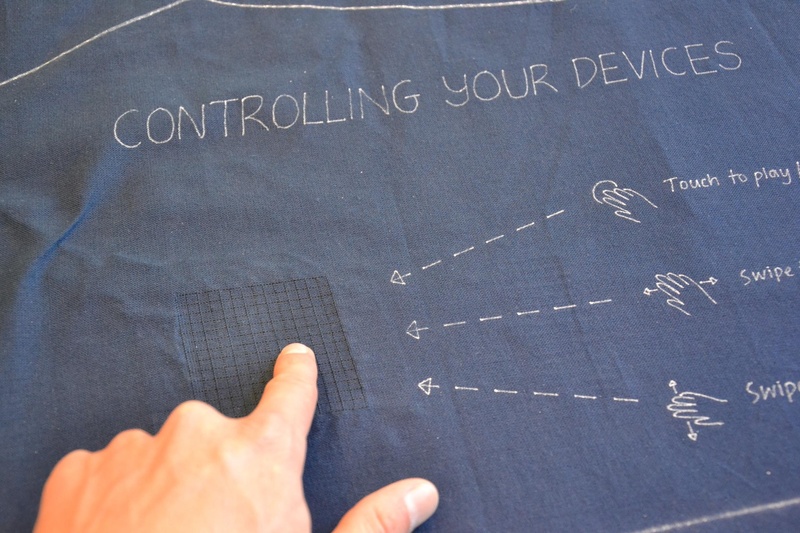 Such as Tapping on the fabric will play music on the smartphone. Side swipe on the fabric will allow you to skip or change the track playing. Swiping Up/Down will increase/decrease volume respectively. These functions may not seemed to be as great. But it was just a demo done on smartphone. But the Project Jacquard is originally for wearable devices with small screens. (or even without screens. ).The Project Jacquard is still in development phase.There is no news on the availability though.But we will keep you updated. (more info). Share your opinions with us by commenting Below.